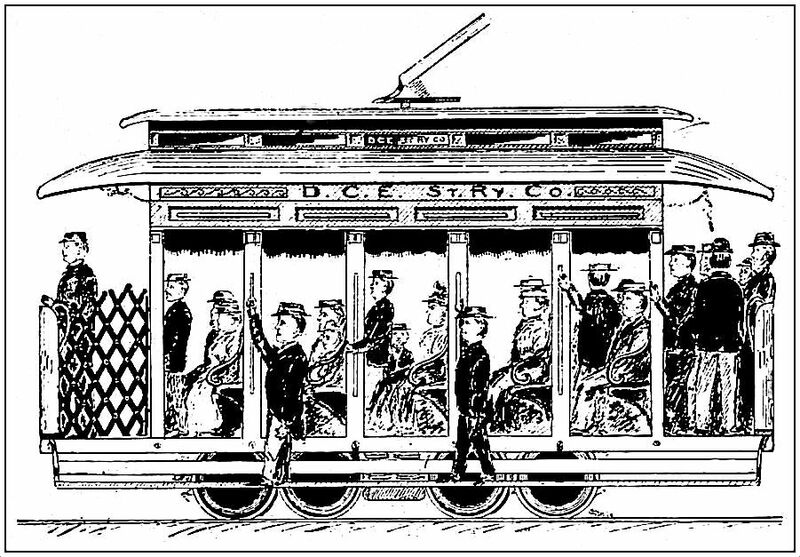 Why bother with a horse and buggy when you can take the streetcar? D.C.E. St. Ry. 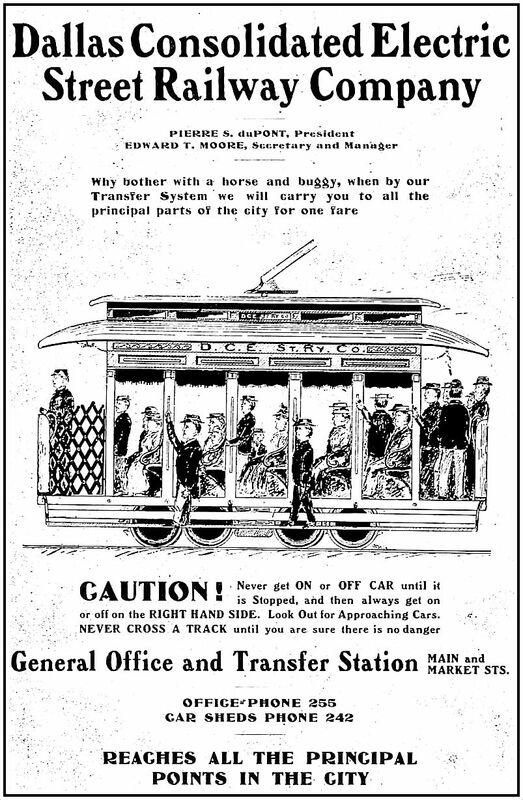 Co. ad from the 1902 city directory. One wonders how those gents hanging on for dear life on the left hand side of the car are going to get off on the right.